New Zealand is in the process of getting through with a bill that will see the government from the country down under make it legal to spy on the citizens. This comes after them openly admitting that they have actually intercepted on the New Zealand citizens some 88 times in the last ten years [PDF]. The Government Communications Security Bureau (GCSB), an equivalent of the Communications Commission of Kenya (CCK) in New Zealand will have powers to intercept communications by and to the citizens legally if this bill goes through. Ofcourse there has been a lot of resistance from protestors that included Mega’s Kim Dot Com. “From my knowledge of the [GCSB] system, already it is too intrusive. There is too much power concentrated in the hands of two people – the head of the GCSB and the Prime Minister,” Mr David McDowell, former CEO for Office of Prime Minister said. 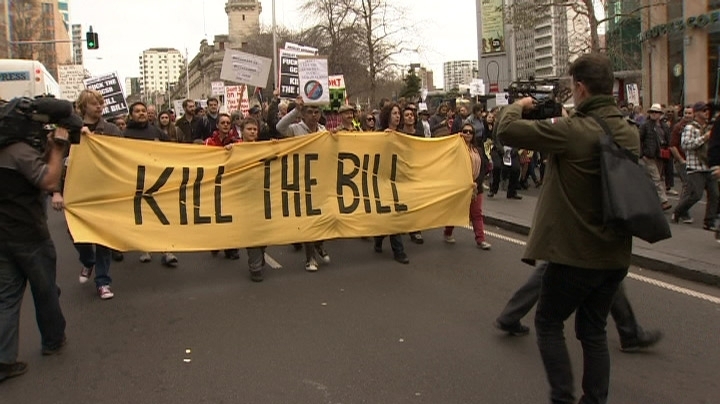 Citizens are against this bill going through and allowing the GCSB to provide information to New Zealand Police, Defence Force and Security Intelligence Service and want it scrapped.